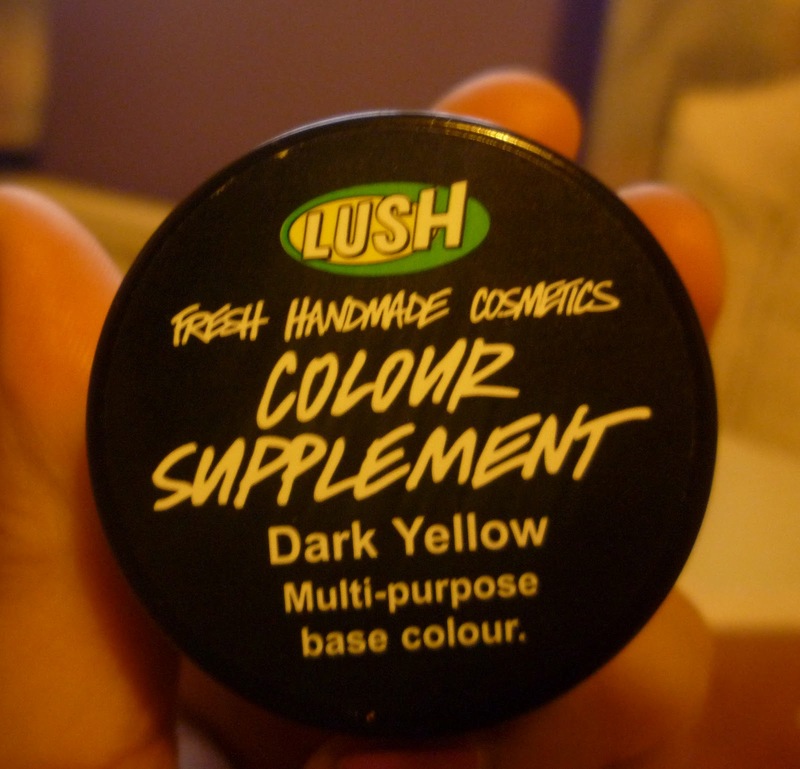 I recently visited Lush to get a sample of their Colour Supplement which Shaz recommended trying. The guy there was really lovely & helpful - totally opposite from my recent experience at Nars & despite the shade being slightly too light for me I have to say I actually liked this product. The supplement is a pigment blend in a cream base which contains; rose petal infusion, soya and rice bran oils. Lush say that these ingredients make the supplement comfortable enough to wear all day without feeling heavy. It's also especially good for those with sensitive skin. The sample I took away with me was 'light pink' and when I first put it on and blended it in I thought woah thats too light for me, however when I put the rest of my make-up on it didn't look too bad. It does take a while to settle into the skin and I would say to be careful that you don't miss patches of face out. In terms of coverage I would say this is a sheer coverage product and it stops at that. You can't really build it up, so if you like a full coverage this may not be the best product for you. 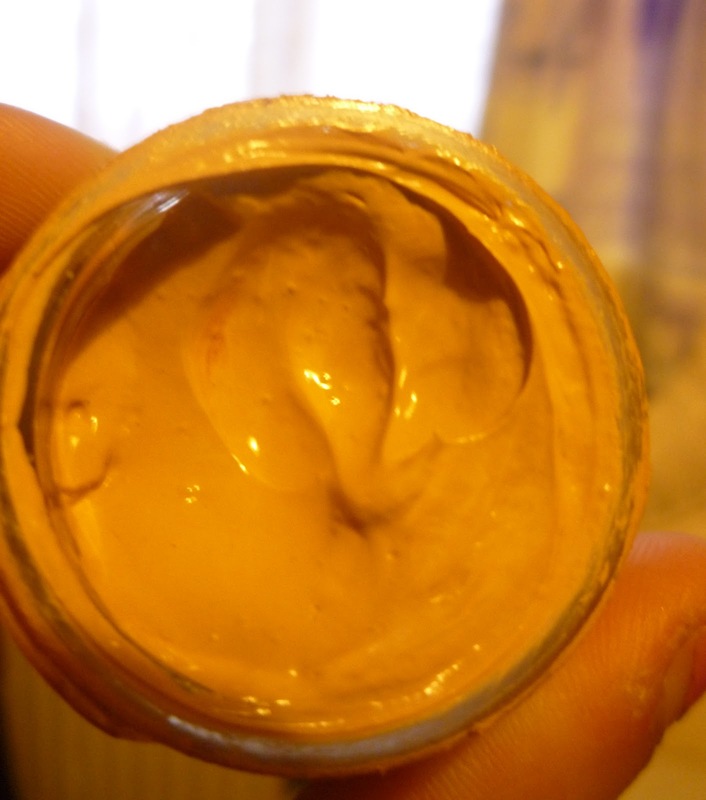 The consistency is quite thick however it feels really light on the skin, and it is also very moisturising so if you do happen to forget to put an actual moisturiser on it wouldn't matter so much. The Colour Supplement can be used in the ways listed below or as a little pick me up under actual foundation. - Cleanse & tone as normal. moisturiser using the back of your hand as a palette. - Apply to the face working your way out from nose. your way from the nose. areas and blend well with clean fingertips. 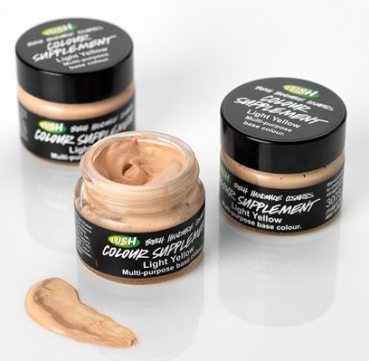 If you set the supplement with a powder it lasts all day, however you may need to use a heavy duty concealer for any problem areas as I didn't find the supplement very useful as a concealer. When wearing this product it doesn't feel like your wearing anything on you face, its just feels like a second skin. This isn't an in depth review but I would definitely recommend everyone to try this product. It's reasonably priced at £7.95 for 20g which I think is a generous amount, you only need a tiny amount and it feels so good on the skin...what more could you ask for? I went ahead and bought a full size version but in the 'Dark Yellow' shade which is a much better match for my skin tone. I sometimes mix it in with my Estee Lauder Double Wear Light foundation if I want more of a full coverage otherwise I wear it alone on days where I'm not doing much. Before I started watching 'beauty videos' on youtube and beginning my own blog, I didn't really know much about Lush and probably still don't know a great deal, but what I do know is that their products consistently deliver. Although some products may seem highly priced, if they are doing their job then there definitely worth the price.